This page is dedicated to our Annual Exmoor Run - reports and photographs and a feedback form. The next run will be on Sunday 11th August 2019.
either by post or email by the end of January. 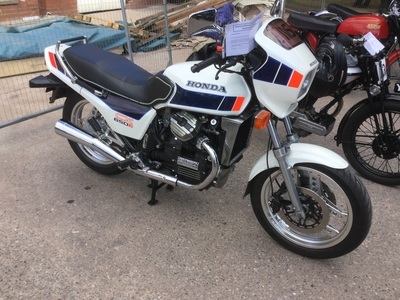 you can request a form on the home page of this website. pass the email on to friends who may like to join us. 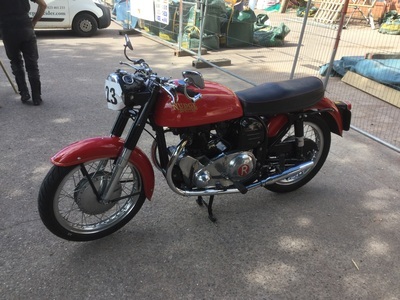 We are always looking for ways to improve our annual Exmoor Run and to continue to do the things you like, so please use the form below to tell us what you think. Please do not use this feedback box to request an entry form for the run. We woke to pouring rain on Sunday morning with no sign of it clearing. 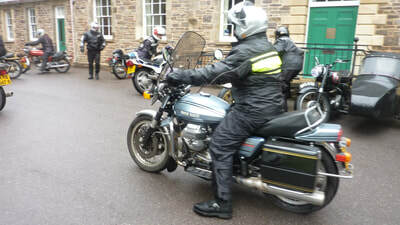 Despite 105 motorcyclists 'pre entering', only 29 of them actually joined us and braved the weather. A further 6 came along and registered on the day. 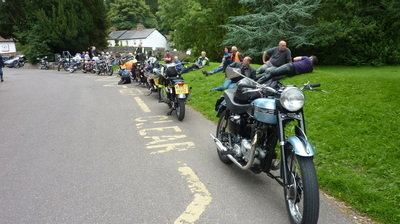 those who joined us did enjoy the day and were rewarded by fine weather from lunch time. Grateful thanks go to Louisa Sheppy and her team who look after us so well at the start and finish. The shelter of the barns was very welcome; this year especially. 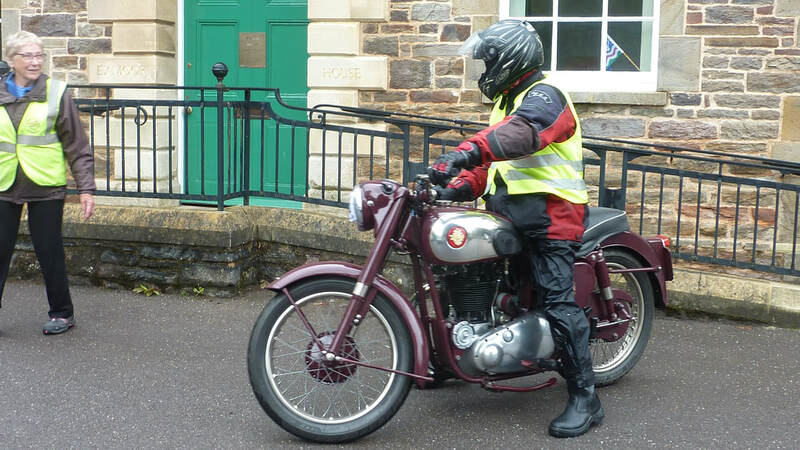 and Exmoor House at Dulverton for the lunchtime parking. 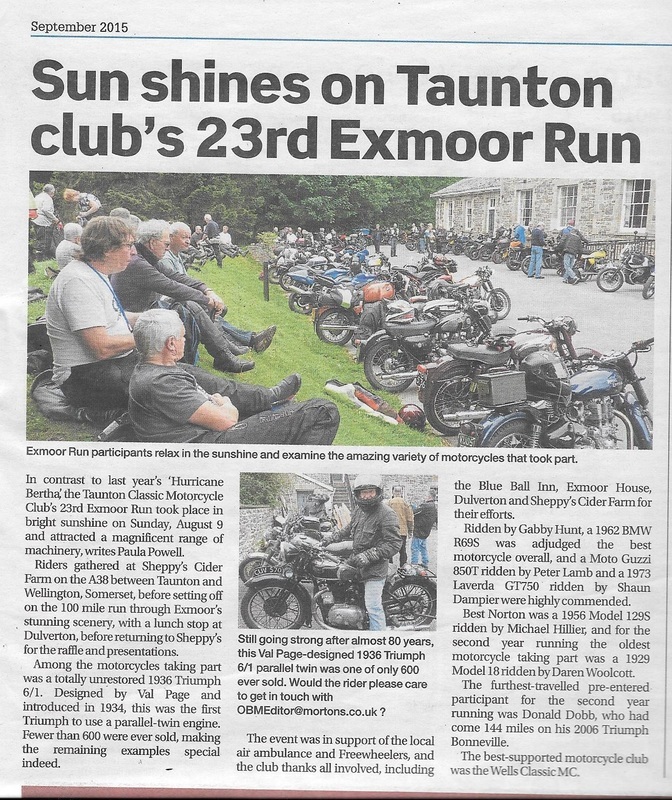 Old Bike Mart published our Exmoor Run Report in their August edition. A copy of the article is shown below. The weather was kind to us once again for this years run. 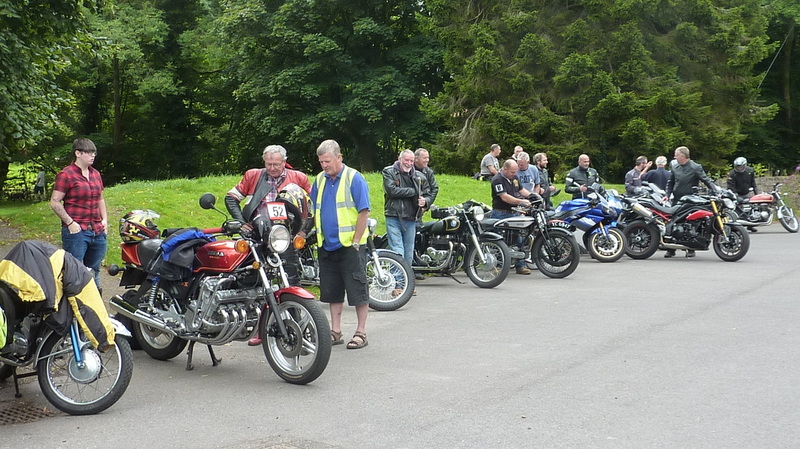 102 participants pre entered and a further 68 signed in on the day. 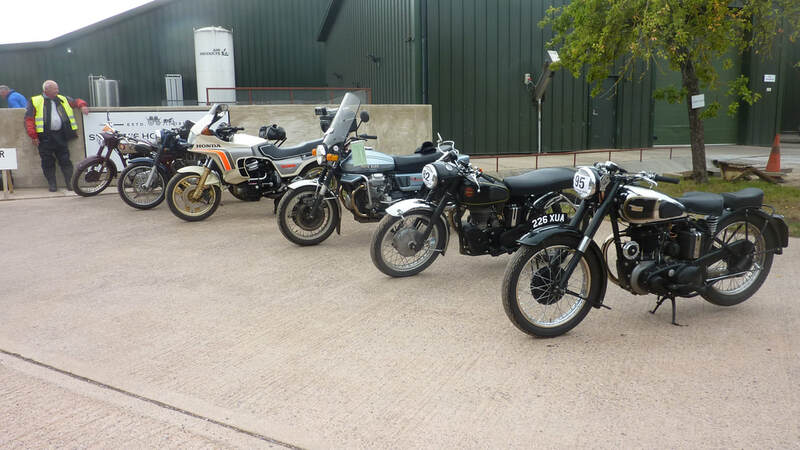 The eclectic mix of 170 motorcycles was a great sight, parked at Sheppy's Cider ready for the start at 9.30am. The Crown in Exford provided our coffee stop and then we rode across Exmoor to Dulverton for our lunch stop. Stunning scenery with heather and gorse in full bloom - a most enjoyable ride. 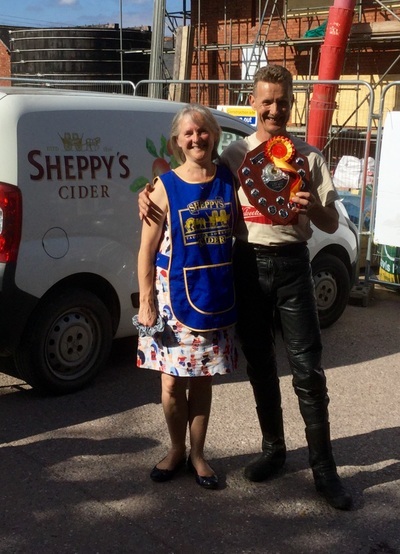 Back to Sheppy's for tea, cake and the raffle and presentations. 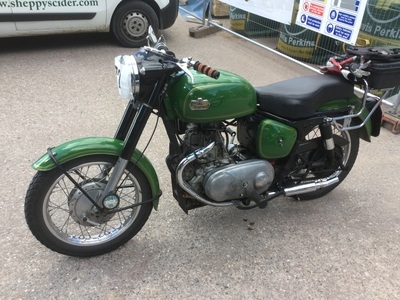 We were privileged to see so many beautiful motorcycles join the ride, however, this made the judges job extremely difficult. 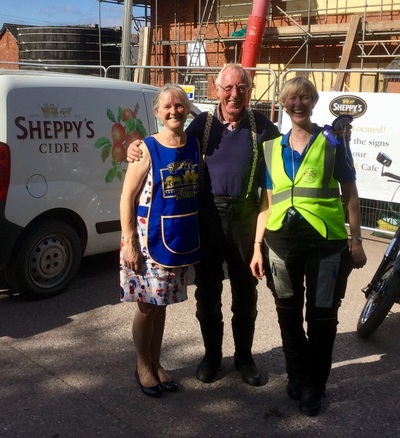 We would like to thank everyone who worked so hard to make the day run as smoothly as possible but especially to the participants without whom the run would not happen. 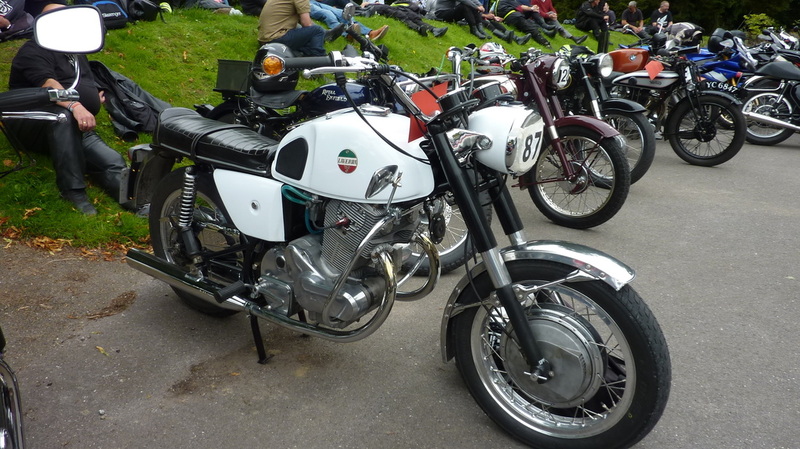 A very successful day with a record number of entries, perfect weather and some beautiful motorcycles. Proceeds from this 2016 run, combined with other club events meant we could present our two charities with £1500 each. ​you all make it a true success and enable us to support our charities. 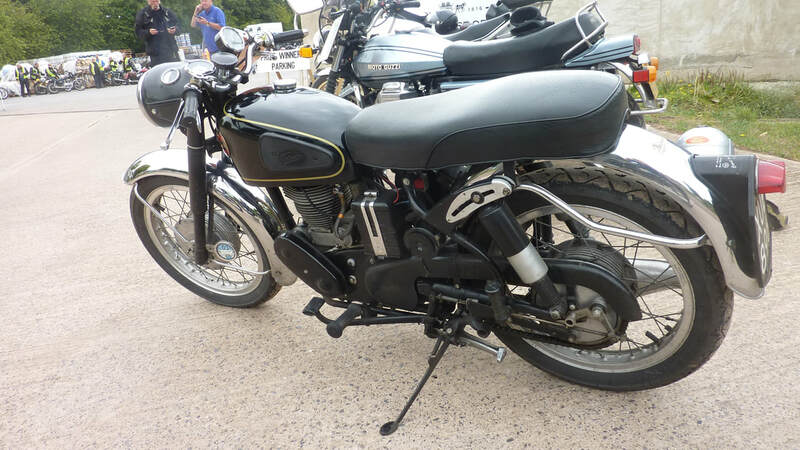 You know who you are - thank you very much. 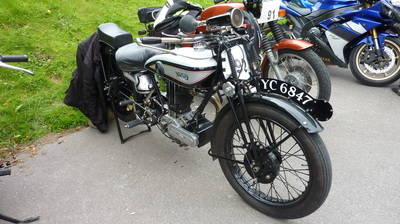 The Den Sutton trophy for Best Norton went to Les Howard's 1953 Model 7. 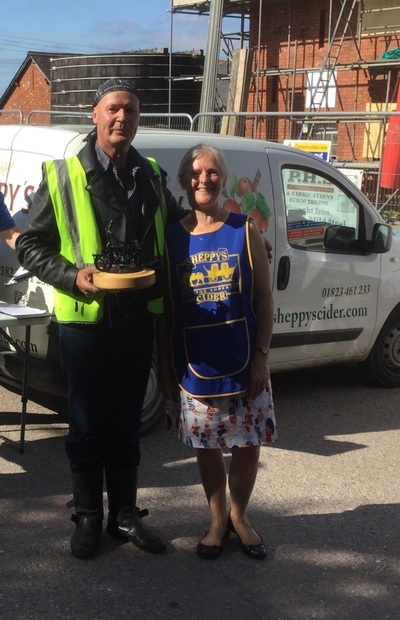 And finally the Wells Club were presented with the trophy for the best represented club. 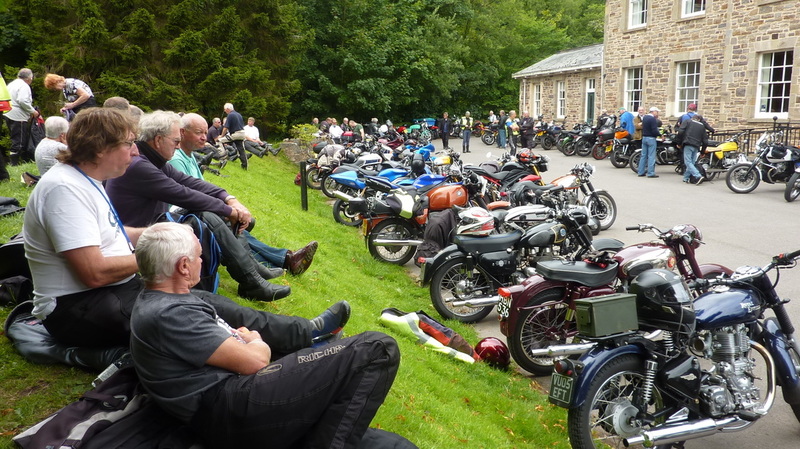 Sunday 9 August 2015 - the sun shone and the motorcycles arrived. What a difference to last year's "Hurricane Bertha". 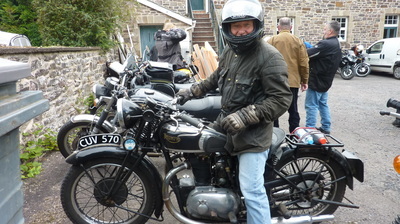 Folk started to arrive for signing on from 8.15am and the early birds had time for a cuppa and a bacon buttie. At 9.30am 172 bikes set off from Sheppy's Cider Farm on the A38 between Taunton & Wellington for the 23rd Exmoor Run . 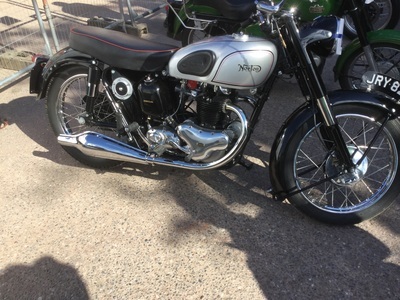 The weather was perfect - not too hot - and we saw an amazing array of stunning motorcycles. 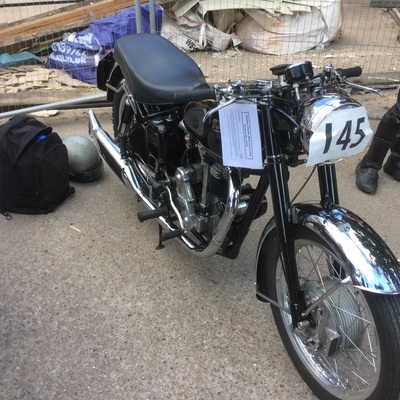 Those of us who were " manning" the sign in desk watched as the bikes passed by to start their ride - a pristine BSA B31, a CBX1000 (which has been with the current owner for over 20 years), side car outfits and many many more. We could see then that the Judge's were going to have their work cut out. 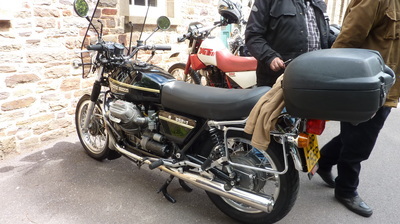 There was plenty of time for all participants to look at, and chat about each others bikes - during the coffee stop at the Blue Ball Inn - Countisbury and then at the Dulverton lunch stop. 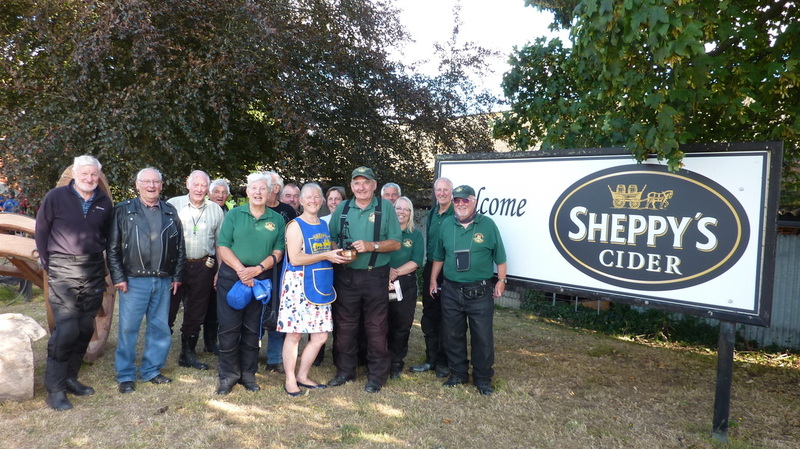 Finally, following about 110 miles across Exmoor, we arrived back at Sheppys for the presentations, raffle and goodbyes to acquaintances that we may not see for another year. 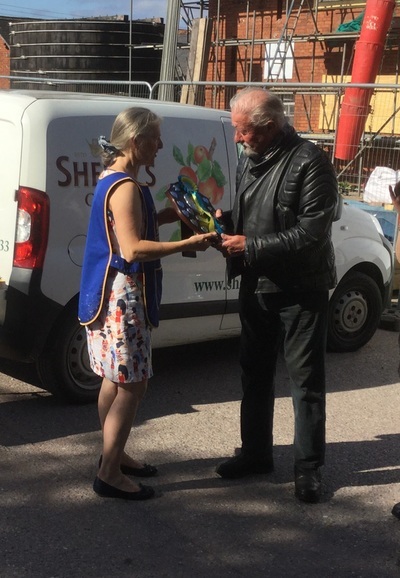 Thanks go to all those who came along to join the run, Club members for the organisation, The Blue Ball Inn, Exmoor House Dulverton and Sheppys Cider Farm. 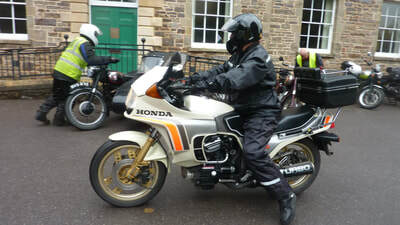 Proceeds from this 2016 run, combined with other club events meant we could present our two charities with £1000 each. 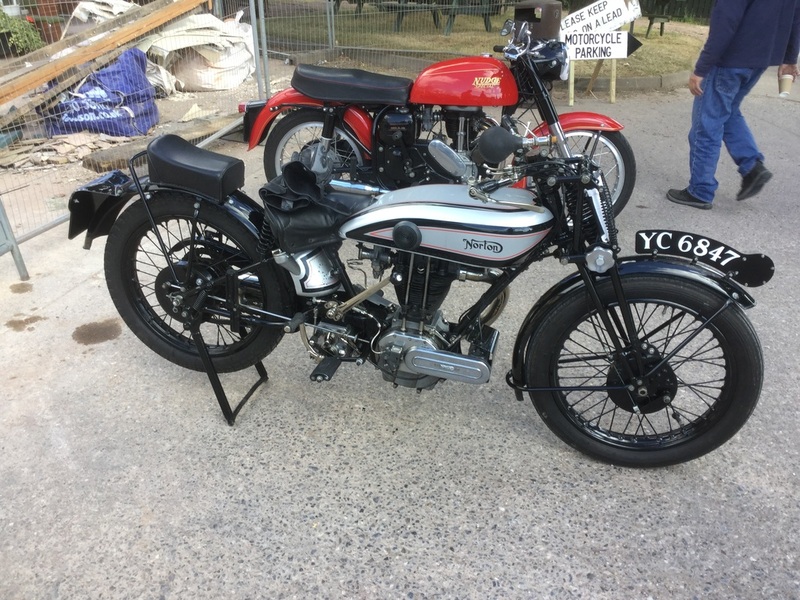 One motorcycle of particular note was an extremely rare 1936 totally unrestored Triumph 6/1 - made at the Coventry factory, this was the first Triumph motorcycle to use a parallel-twin engine. Less than 600 were ever sold, making those remaining even more special. This year we have added a feeback form below and would appreciate it if entrants could take a little time to let us have their comments on the run and any areas in which they think this event could be approved. The Best Bike trophy was awarded to Gabby Hunt whilst the Den Sutton Tropohy for the Best Norton went to Michael Hillier. Oldest Bike award went to Daren Woolcott. Furthest travelled advance entry for the second year running was Don Dobb of Birmingham. 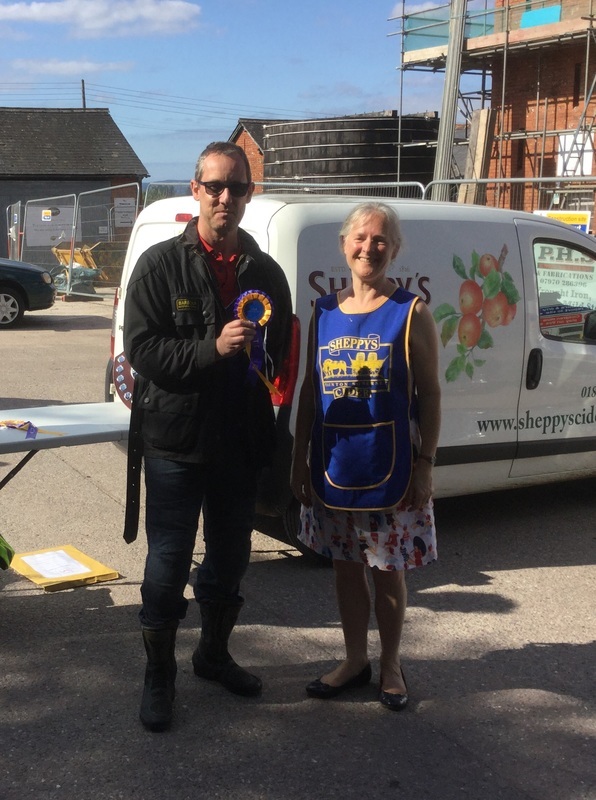 Highly commended rosettes were awarded to Shaun Dampier and Peter Lamb. I really enjoyed seeing the old bikes at Dulverton. 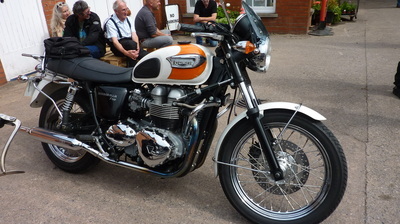 They were amazing and everyone was so friendly to talk about the "world of bikes". Thank you and I look forward to seeing you all again next year! 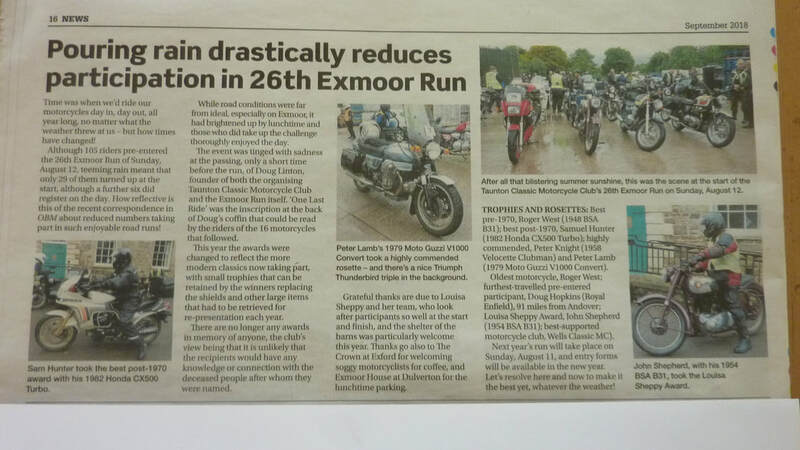 Old Bike Mart published our Exmoor Run Report in their September edition. A copy of the article is shown below, reproduced with their kind permission. 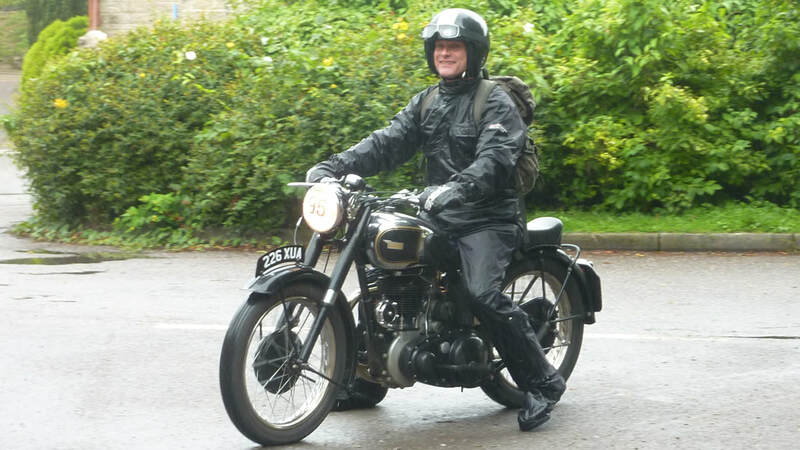 Despite the awful weather forecast our run went ahead as planned - and guess what - the weather was OK all day. Yes we did have some rain but we also had plenty of sunshine and Hurricane Bertha clearly decided to give Exmoor a wide berth - it was slightly breezy but nothing like hurricane conditions. 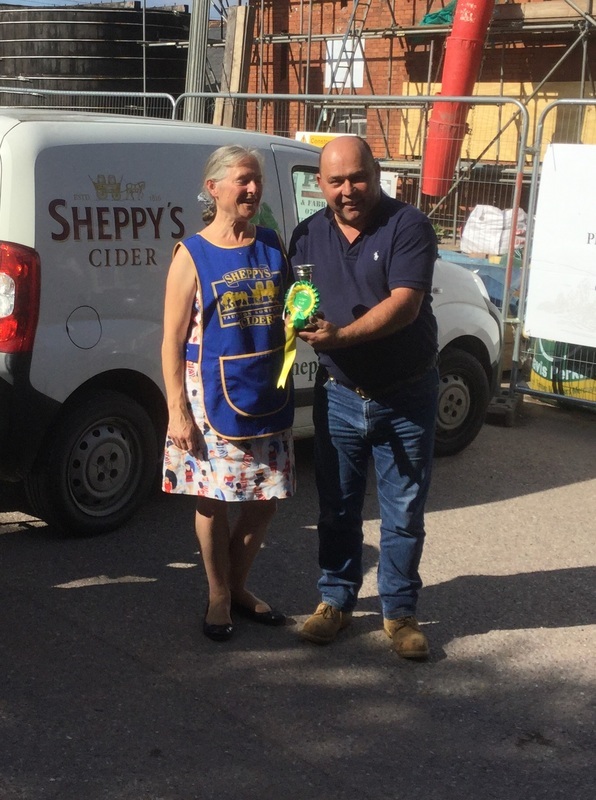 Sylvia worked hard on Saturday to get us a weather protected starting venue and Sheppy's Cider welcomed us by clearing out a huge barn in case we needed it. They provided us with tea, coffee and bacon butties so nobody would miss out even if the rains came. As it turned out, only 20 of our 70 pre entered riders actually turned up and 7 additional people signed in on the day. A very disappointing turn out but those who did come along enjoyed a great ride in reasonable weather conditions. 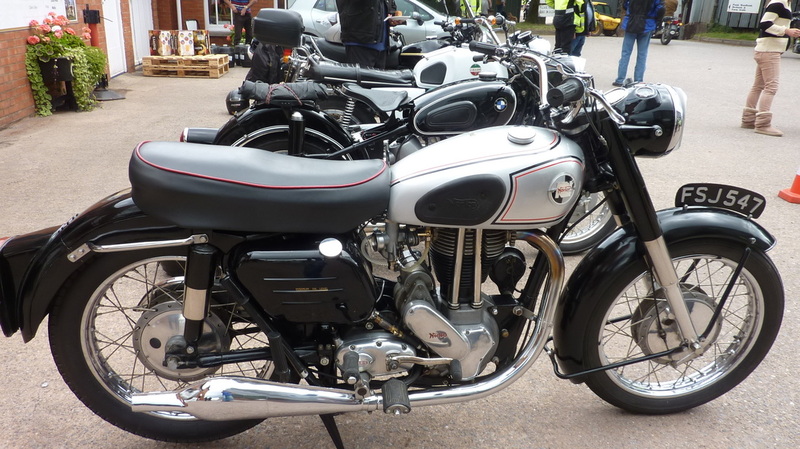 We - as always - had some beautiful machines to admire - we appreciate that folk were prepared to bring them out on to the early morning wet roads. 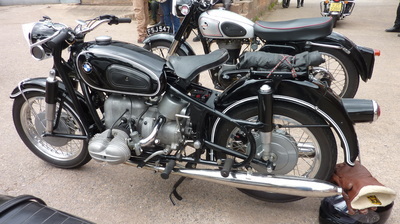 I expect there will be some frantic cleaning and polishing going on this week or even last night! 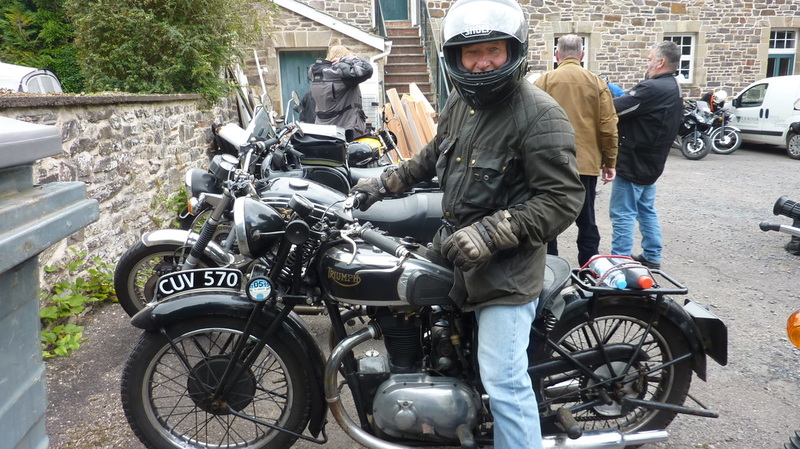 DONALD DOBB - who had travelled 144 miles from Birmingham to be with us.